Recently I was away on holiday in Copacabana NSW and I had rented a house that had loads of magazines and cookbooks that I could go through. I loved it as in my quiet time I could flick through them and find a new recipe I wanted to try. I came across this one and instantly wanted to try it. My family loved it. No added sugar, no added colouring, just real fruit and yoghurt. In Copacabana I didn't have my big food processor, I only had my daughters smoothie maker. So I chopped up the frozen fruit and added more yoghurt than the recipe recommended just so I could get it going. It was delicious, I even added a dash of milk to help it blitz. The colour was paler as pictured below, but the taste amazing, it was like a soft serve ice cream when eaten immediately. At home although, I used my big food processor, chopped up the frozen fruit so that it can fit in the food processor, added the yoghurt and blitzed it. 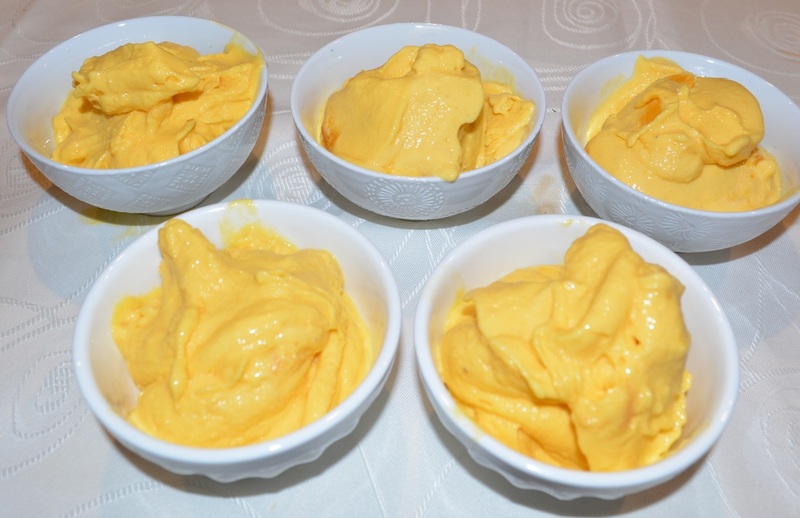 It was a deeper yellow colour than in Copacabana as less yoghurt was used, see picture above. 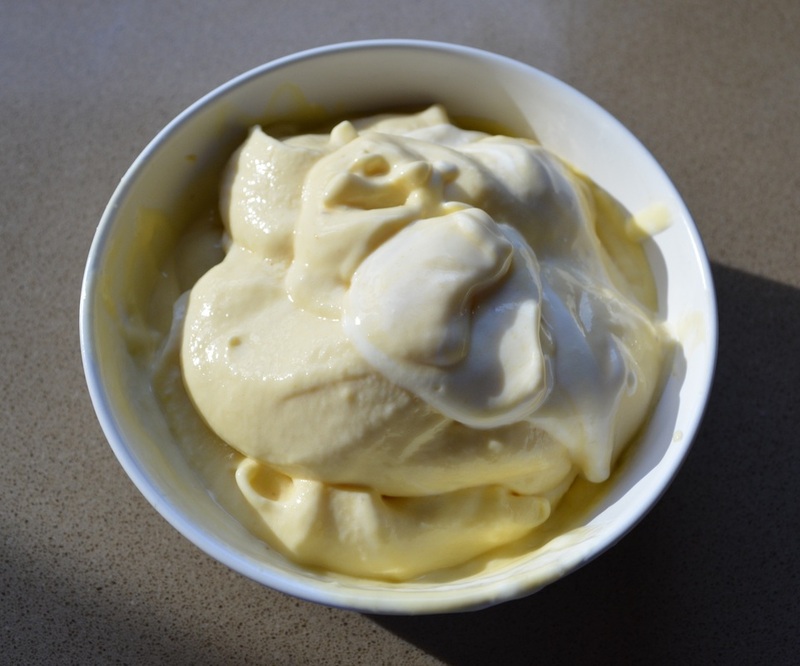 We also served it straight from the food processor as it is like soft serve ice cream, but you can freeze it for 30 minutes to an hour, then you will then be able to scoop it into an ice cream cone and eat it like ice cream. Now I used a thick Greek Yoghurt, as we love it, and it was sweet enough and lusciously thick. I also froze the fruit a few days before using it, so if you know you can't eat all your fruit before it will go off, chop it up and freeze it for this recipe. Try this delicious, healthy gelato soon, you and your family will love it. Place the chopped up banana and mango in a sealed container or snap lock bag and freeze for 2-3 hours or until frozen. Place the frozen fruit and yoghurt in a food processor and blitz until smooth. Serve immediately or place in a sealed container and freeze. If you choose to freeze it, allow it to soften for 5-10 minutes before serving.